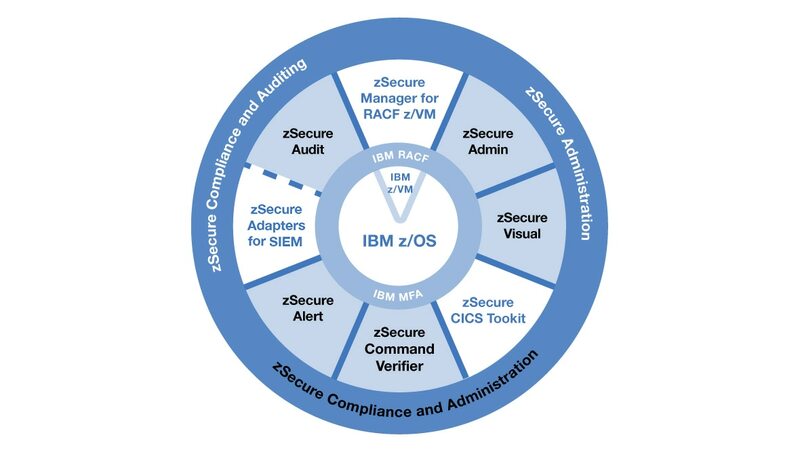 IBM® Security zSecure™ Compliance and Administration simplifies security administration for IBM Resource Access Control Facility® (RACF). It includes several zSecure products that measure and verify the effectiveness of controls with policies and standards, including automated event analysis, alerts and reports. Give your security personnel the tools to measure and verify the effectiveness of their mainframe security settings and policies while reducing risk, aiding compliance, automating tasks and improving overall security management and productivity. Access seamless integration with an enterprise-wide view of audit and compliance efforts. Enforce policy and standards for mainframe security to aid in compliance regulations. Support audits with automated analysis, threat detection and customizable reports. Automate administrative tasks to help increase efficiency and reduce costs. Reduce RACF complexities. Offer user provisioning, password resets and resource access management. Support your staff with a Microsoft Windows-based interface.